This painting is named, appropriately, for a woman of strong faith in Christ. 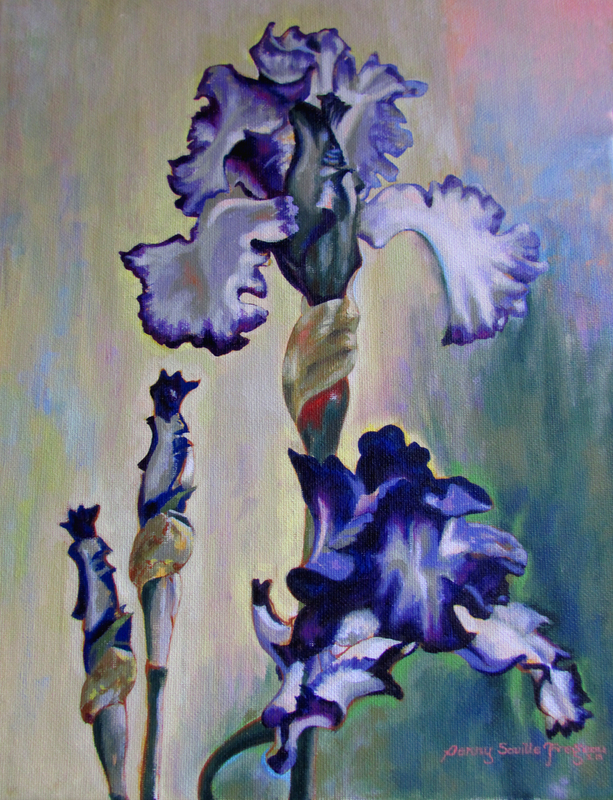 The iris is an interesting flower to paint with its shaped petals, puckers, curls and outstanding show quality. No wonder there are so many meanings attached to this flower. I enjoyed studying its form and considering the thought that God really enjoyed Himself when He created this flower.